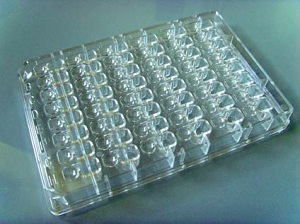 96 Well plate for microbatch or vapor diffusion experiments. Reservoirs around the edge can be filled with a reservoir solution for vapor diffusion. They also avoid oil spills in microbatch experiments. Wells are individually labeled. Hydrophobic (Silver)	- reduces nucleation and crystals sticking. Hydrophilic (Gold, plasma treated)	- recommended for small volume screening experiments. SBS format with 96 reservoirs, two drops per reservoir. SBS format with 96 reservoirs, three drops per reservoir. 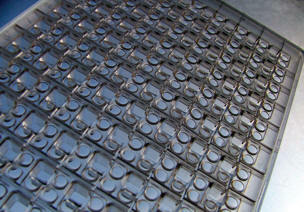 SBS footprint with 48 large reservoirs, one large drop position per reservoir, specially designed for optimization. Microscopic identifiers for each drop. 96 well SBS format plate. The COC film back offers excellent transparency for X-ray or UV light. 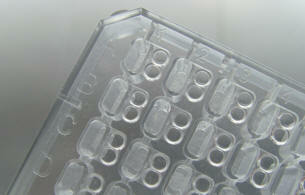 The micro-ledge and micro-channel design allows the plate to be flipped without spillage from the reservoir. 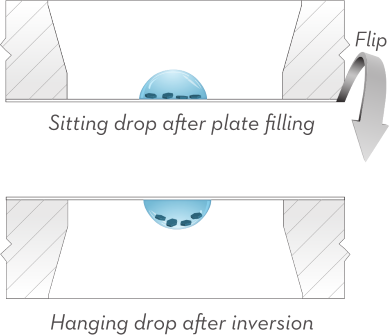 The inhibition of cross-contamination from reservoir to drop allows the In Situ-1 plates to be used for hanging drop as well as sitting drop. Hanging drop setup with the In Situ-1 plate. 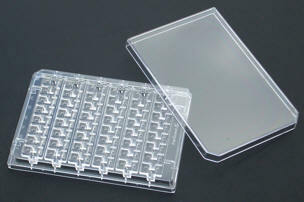 SBS spacing in both directions, suitable for use with all dispensing robots and in all observation systems. 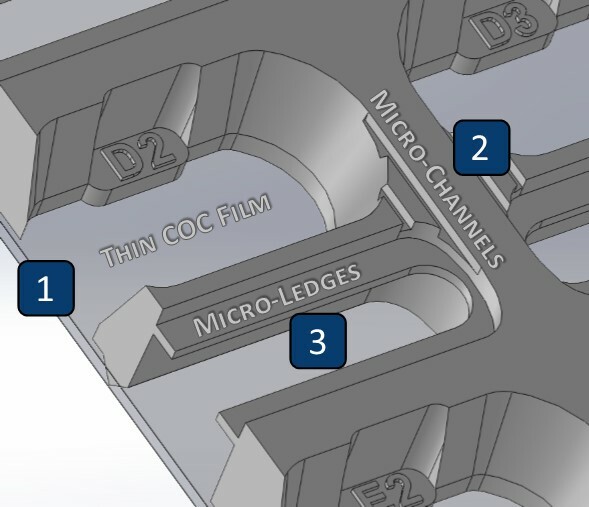 Miniature wells for Vapor Diffusion with two depressions on the shelf for samples. Strips are sealed with tape. SBS spacing in long direction only, suitable for use with Oryx and other single head or variable spacing robots and in all observation systems. Miniature wells for Vapor Diffusion with depressions on the shelf for samples. Strips are sealed with tape. Miniature wells for Vapor Diffusion with platforms on the shelf for samples. Strips are sealed with tape.